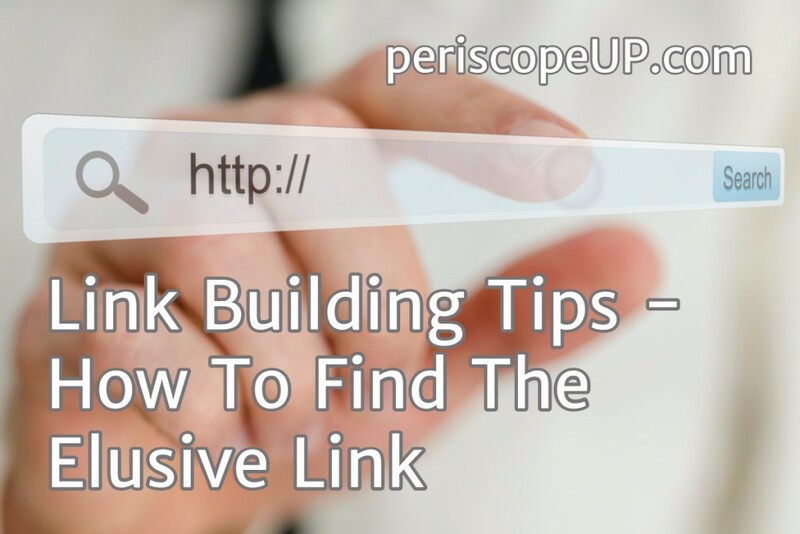 Link building still has a strong influence on how your site ranks, so it’s an integral part of SEO strategy. But there may come a point in an SEO campaign where link-building efforts reach a stalemate. Perhaps it’s because you don’t have decision rights to secure guest posts or digital articles, or maybe it’s because you’ve simply run out of good ideas. You’ve already done everything from adding links to social media profiles and submissions in high-quality local business directories. So what’s next for your link building strategy? Try these methods to find that elusive link. Leave no link broken or forgotten. Call us at (443) 475-0787 or Contact Us. When was the last time you ran a backlinks report for your website? It’s amazing what kind of intel a report like this can give you. Even if you find only one incorrect link pointing back to your website, that one broken link can stop a qualified visitor from finding you. Take the time to clean up broken or incorrect links that point to your website. You’ll be amazed at the results. As SEO’s, we seen it time and time again: Clients have mentions of their brand scattered across the websphere but no link to be found. Perhaps they’ve been mentioned in a high-quality digital publication with a high Domain Authority, but that publication forgot your link. Or maybe the link isn’t working correctly. Take the time to find those missing links and attempt to get them corrected. High-quality links can heavily influence your ranking. Maybe you’ve already secured links from more mainstream business directories like Yelp and MerchantCircle. Could there be other directories that you’re missing? Think about your brand in terms of ‘niche markets’, and then do some quick searches to see if there are matching directories. For example, say you represent a major food brand that offers products to consumers and to the food-service industry. You’ve covered directory sites that reach consumers, but have you tried researching food-service industry directories that want to know about you? If you think about markets that may be a bit more niche, you can usually find directory sites that relate to your brand. There are a number of tools online that give you the chance to find out about competitor backlinks. You’ll likely have some backlinks in common, but you may find some missed opportunities for other high-quality sites. Your internal team may offer a wealth of link-building ideas. For example, you could find out if your company does pro-bono work or work for nonprofits. Maybe those sites would offer you a badge with a link on their “Sponsors” page. Or perhaps your team members belong to college alumni associations who would be willing to link to that member’s’ bio page on your website. Simple conversations with your internal players may give you some places to find good links. Link building, especially when you’ve reached a stalemate, can be a tricky business. You want your links to offer real value to potential website visitors – not low quality links that can negatively affect your link profile. Implement ‘backlinks maintenance’ and some creative thinking, and you will find those awesome, but elusive, links. Supercharge your website performance and visibility. Call us at (443) 475-0787 or Contact Us. Account Manager and PR Maven. Voracious reader. Writes about content marketing and outreach strategies like link building and leveraging PR tools. Enjoys writing and spending time with her family in the great outdoors.